A German court is about to make a ruling on whether Samsung deliberately copied the design of the Apple iPhone and the Apple iPod. One report from a reliable source close to the court, says that the ruling will go against Korean based Samsung. The Düsseldorf Regional Court is supposed to make its ruling on August 8th. The Samsung models involved in the case include the Samsung Galaxy S, Samsung Galaxy S Plus, Samsung Galaxy S II, Samsung Galaxy Ace, Samsung Galaxy R, and the Samsung Galaxy Wave M. Also included is the Samsung Galaxy S Wi-Fi 4.0 media player. But there is a big difference between this case in Germany and the other court battles that see the two rivals squaring off in other courtrooms in 9 other countries. In Germany, the legal fight is over the country's competition laws and is not related to laws related to patents or designs. 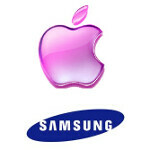 Apple claims that by copying the design of the Apple iPhone and Apple iPod, Samsung was trying to confuse consumers. Apple's case against Samsung seems to result from Section 4 paragraph 9 of Germany's unfair competition law, which says that unfair competition has occurred when replicas of goods are sold or avoidable deception is used to fool the purchaser as to the origin of purchased goods. The law also makes it unfair competition if the manufacturer of the replica dishonestly obtained the knowledge or documents explaining how to make the replica. To determine if Samsung violated the unfair competition law, the court will have to look at the overall impression of the above listed devices. The court can find that Samsung's action fall into one of three levels of imitation: identical imitation, near-identical imitation or derivative imitation. The key test for the court to apply is to decide if the design cues copied by Samsung are characteristic of Apple's designs. Luckily for Sammy, the devices in question are older models. In the worse case scenario, the company might have to write a check to Apple. Apple design don't change much it's boring using their same 2009 design for 2013. You don't fix what was never broken. Oh just cut the crap "Mxyzptlk". You are just an old School guy like fruit. Not broken can be and is outdated. I don't understand this at all, people referring to apple's devices as beautiful and samsung's as ugly. I mean, they are all rectangular devices with rounded corners!!! How is one beautiful and one ugly. Even if i had tried, i don't think i can make one rectangular device "ugly". It's a rectangular device for crying out loud. What is it with these apple fans? Apple must have some kind of spell over these people. Apple fan are very vocal I had a friend that stop being my friend when I decided to buy the cheaper creative mp3 player over ipod. To this very day I still don't understand why it matter to him if I choose to save a few bucks to buy a model with more memory and yet cheaper than iPod. Apple fans Literally fight to prove iPhone/iOS/Mac is better even if it doesnt benefit them in any way. Its juz to satify their own conscious/ego. Round rectangular touch screen exist long before Apple is even in the mobile phone business. What a joke? Maybe Samsung did not do the smart thing to pay off the right official to get them to rule otherwise. One author ruins the site? And Mueller has said some things against Microsoft, so I'm not sure how he's paid off. Where's Michael, we need another article on how it's not copying. Exactly, Samsung was just "borrowing" ideas from Apple. It's all good, Tim won't dare bring a lawsuit against them, that's not how he rolls. If za' Fazerland' rules for Apple it 'vill be victory for za' fourth Reich and it 'vill be auf wiedersehen Samsung. danke schön!! Brace yourselves. Pointless arguments are coming. That said, are any of the alleged devices even on sale anymore? why samsung?why did you do such a thing? now you see what happens when you do what you did.. I asking Apple the same question Why? steal from others and called it iOS 7 ? They probably do have those odd shaped patents in their locker. It would be disgusting if Apple wins this. One stupid country, America, is enough. We don't need another one. Seriously, I would love to meet ANYONE who was confused enough to think that a Galaxy series phone was an iPhone. Maybe the Samsung logo on the box might be a clue? Even if someone was stupid enough to confuse the two, is it not possible to return it when they realize their error. The world seriously needs to stop coddling idiots. If this keeps up we're gonna have requirements to have foam rubber covering any sharp corners! Apparently thinking for one's self is out of the question anymore. No wonder people's liberties and freedoms are being taken away all over the globe, they're too stupid to realize it's happening.